Kevin Can Wait's season two premiere got a huge boost thanks to the enormous The Big Bang Theory / Young Sheldon premiere night, but it shifted over to a 9JKL lead-in starting in week two (after getting TBBT for five weeks last fall) which makes its comparison above a bit misleading. But it was clear the night in general was becoming weaker, with each slot down double digits in the fall and winter. Scorpion led out of a series of failed newbies in not-pictured Me, Myself and I, 9JKL and Living Biblically, and its 20%+ declines throughout the year were a particularly sore spot. The winter comparisons are a little more representative of the season as a whole. The first half of the night was clearly weaker year-to-year, and the second half was just a huge mess. The string of 9:30 flops looked particularly rough after the new year when they started getting compared against 2 Broke Girls. Man with a Plan notably held up a good bit better in the spring than it did last year, while Kevin and Superior Donuts stayed in the realm of double-digit declines. 9:30 to 11:00 were a complete debacle once again, setting the bar low for next year's Magnum P.I. and Bull. 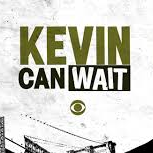 Kevin Can Wait: As I said above, the trend is a bit exaggerated because it had only one week with a huge lead-in vs. five last season. But this show was just not shaping up like something to build a night around. 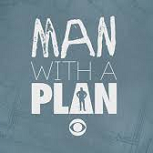 Grade: C.
Man with a Plan: Looking at the full season trends, MWAP looks a little better than I was expecting when compared with its teammates, so I can kinda see why it would get saved for a backup role rather than the stronger yet unowned/expensive Kevin Can Wait. Grade: C+. Superior Donuts: It's debatable whether CBS even needed MWAP, a decent live retainer with very little DVR audience. So they definitely didn't need a slightly weaker version which was trending worse year-to-year. Grade: C-. Me, Myself and I: Pulled after six episodes. Grade: D-. 9JKL: The only one of CBS' three Monday comedy newbies that actually got through all of its ordered episodes (and actually got a small extension beyond the initial 13). Still not worthy of renewal, but I would argue it was a clear notch ahead of the other two for what little it's worth. Grade: D+. Living Biblically: Pulled after eight episodes. Grade: D-. Scorpion: It had a lot more competition in the fall with The Good Doctor, and a lot less lead-in help especially after the new year. And as you might expect under those circumstances, it became a bit better DVR gainer this year. But that's nowhere close to making up for declines of this size. It will be interesting to see how much better Bull can do here, but I can't really blame them for trying something else. Grade: D+. Here's the now updated Schedules Plus for CBS Monday.